Do You Worry About the Background of Your Employees or Potential Hirees? Have you ever HIRED THE WRONG PERSON, not knowing about his or her background? Has the TREMENDOUS COST OF HIRING AND REHIRING taken a toll on your company bottom line? Has hiring the wrong person ever negatively affected your internal WORK ENVIRONMENT? Have you ever PUT YOUR CLIENTS AT RISK by placing a person of questionable character at their facility? Has running your business left you with NO TIME to properly screen your potential new employees? Do you worry about BEING COMPLIANT with the ever-changing local, state and federal regulations for hiring? Providing full screening services to help you select the right person the first time. Virtually eliminating the cost of hiring and rehiring. Assisting you in hiring the right person to keep your corporate environment and reputation in tact. Keeping both your employees and customers safe. Informing you about the complicated and ever-changing state and federal regulations regarding hiring. Providing more worry free time for you to run your business. iPay Payroll Solutions offers superior pre-employment screening services to help you select the right person for the job the first time around. Our pre-employment screening options will help you make better hiring decisions by ensuring that you promote a crime free & drug-free workplace, and by keeping it a safe environment. 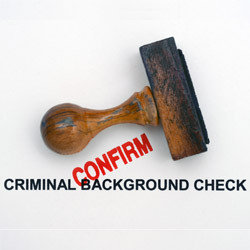 Our full-service background checking solutions allow you to take simple and affordable steps to keep your work environment safe. 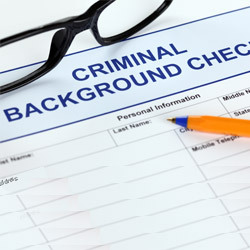 With our background checking services, we will check state and county criminal databases for misdemeanors and felonies, as well as verify current and prior addresses, birth dates, and aliases of any potential employees. Our drug screening services enables you to cut out that expensive middleman. Our drug screening allows you to select convenient drop locations, and includes a chain of custody and Medical Review Officer evaluations.